Like most people, I love watching movies. It doesn’t even matter if it’s a comedy, drama, action or animated film. It doesn’t even matter if the story is really complex, super simple or even entirely nonsensical. 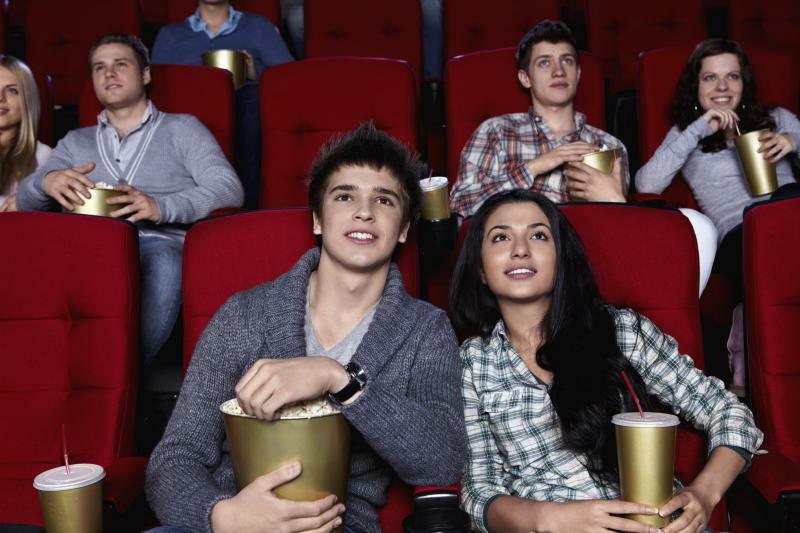 Enjoying a movie is pretty easy to do as long as you let the film makes you forget you’re in a theater watching something. I’m usually the guy without a date. But sometimes, there are going to be some people that don’t really understand this and treat the experience as if they’re in their own home, totally oblivious to the fact they are interfering with how others enjoy the film. So, I decided to compile a list of rules that I think everyone should follow when they do watch a movie so that everyone can enjoy it. Shockingly, this is the thing that people tend to not follow for the most part. They are distracted by their own issues (whatever they are) and seem to just zone out. But, when an action scene breaks out, boy, they put all their effort in watching it! They don’t seem to care that the majority of the story is always told via dialogue between characters! So pay attention to what they’re saying! My favorite example is one of my friends describing his experience watching the CGI film Beowulf. He loved the special effects and was stunned by the action scenes. But, for the life of him, he couldn’t understand why Angelina Jolie was trying to kill Beowulf. He couldn’t even explain who she is… even though she explained it during the film! He confessed that he wasn’t really paying attention since all he cared about were the action scenes. Want proof? Here’s the clip where Angelina Jolie (Grendel’s mother) explains her relation to the monster that attacked him at the start of the film. I’m fine with you chatting with your friend once in a while. I mean, it’s natural especially if you’re with a group of friends. But keep note of the operative word (which I will put in boldface, italicize and underline so you don’t miss it): minimum! Asking your friend to explain a few things is fine but don’t make it a habit because there really isn’t a need to! If you follow Rule 1 that I’ve noted above, then you wouldn’t need to be asking so many damn questions! If you think you can’t follow the movie, don’t try to disturb the other people around you who can. Ask them after the movie is finished! Also, you may have read the book that’s based on the film or the original version of a remake but I don’t think a majority of moviegoers care to know your insights about it while watching the movie. I’ve been one of those people and, in hindsight, it makes me come off like a know-it-all jerk. There’s no need to blurt out anything about it now! All I’m saying is keep your comments to a minimum. Cell phones may be a modern convenience but talking on in during a movie or even letting it ring is just a nuisance. I don’t need you guys to put your phone on silent mode. I’m even okay with it letting out one or two rings. But, if your phone does ring and you don’t feel like answering it, don’t just let it ring! People will be looking around for who’s the idiot who brought his ringing phone and it’ll be easy to spot you… you’ll be the jerk who’s pretending he doesn’t notice the ringing phone! You can even answer your phone! Just have the common courtesy to go to the lobby and answer it! I don’t care how important you are! If you’re going to talk for a while, go to the lobby; you are not that special! This is one of the thing that really fascinates me. Why do people seem to think it’s okay to make a big mess on the floor on a movie theater? I know there are some people that don’t like the fact that people eat in the movie theater. They get annoyed by the smell of the food or some other reason and I think it’s pretty valid. But, overall, I’m not really bothered by it. I myself have a habit of bringing in a tumbler of popcorn and a bottle of water so I definitely don’t have the right to complain. But what I do have a problem with are people spilling their food and sticky sodas on the floor! There’s also no need to throw your wrappers on the flood after you’re done! At the very least, crumple them up and keep them in a place where the clean up crew can easily pick them up! I personally give my trash to them when the movie is done because, you know, I’m nicer than most guys, I guess. This is the most basic rule and I think it actually applies to all scenarios while you’re out in public and not just when you’re at the movies. So don’t shout your stupid comments because you think they’re hilarious. Don’t kick the seat in front of you or, even worse, use the seat in front of you like a foot rest (yes, this happens a few times). And, yes, I will give you a few dirty looks at first. But, if you don’t stop, I will call the manager of the theater and point you out. Are there other things you think people should follow while watching a movie? Please leave your thoughts in the comments section below.